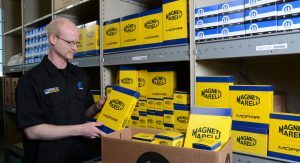 One of the biggest tasks left to Mike Manley when he took over from Sergio Marchionne as chief executive of Fiat Chrysler Automobiles was the pending spin-off of Magneti Marelli. And now he’s done it, selling off the component-supply unit to a leading competitor. In a deal worth €6.2 billion (~$7.16b), FCA will sell the profitable business to Calsonic Kansei Corporation, one of the leading parts suppliers in Japan. The move will see the combined unit renamed Magneti Marelli CK Holdings, and stands to emerge as the seventh largest automotive component suppliers in the industry. Together, Magneti Marelli CK is expected to turn over a combined €15.2 billion ($17.5b) per year, operating some 200 facilities and R&D centers in Europe, Asia, and the Americas. Calsonic Kansei chief Beda Bolzenius will serve as CEO of the merged entity, with Magneti Marelli’s CEO Ermanno Ferrari joining the new board. 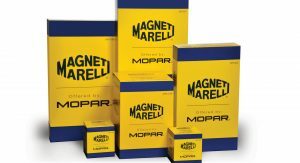 While the sale will (pending regulatory and shareholder approval) separate Magneti Marelli from the Fiat Chrysler group (and its constituent predecessor entities) of which it has been part since 1967, the two won’t sever ties entirely. Together with the spin-off, FCA announced a multi-year supply agreement to continue buying parts from Magneti Marelli, particularly in Italy. 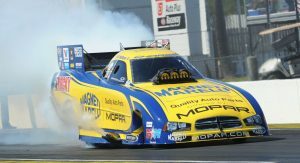 The move isn’t expected, however, to affect Mopar – the equivalent parts division of FCA US, LLC. More than enough money to create a truly impressive all-new Chrysler Imperial. These pasta eaters dont care about new Chrysler products. Hell, they even don’t care about new italian products (new fiats besides 500 or new lancia models). Neither do most other people. Dead brand. 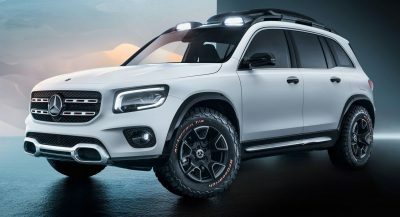 More than enough money to bring Lancia back. A proper Lancia. Does anyone even remember what a proper Lancia is? For the general public outside of Italy, Lancia’s sole memorable trait is the ability to rust away to nothing less than 18 months. Only true petrolheads remember. But I’m not sure about general public. True petrolheads aren’t a big enough audience to warrant the expensive resurrection of a failing brand. FCA have poured billions into Alfa Romeo, which has always been better known around the world than Lancia, and their return on investment has so far been pretty poor. Yes, the Giulia and Stelvio are both excellent, but they’re not selling all that well outside of Italy, and the same would probably hold true for a ‘proper’ Lancia. Dude. It’s never happening. Chrysler is going to be a people mover now. Imperials move people. I’ve seen it happen lots of times! Leap in where Cadillac feared to tread with the amazing Ciel concept. Leap in where Lincoln crashed & burned with this hideous Continental. The field is wide open for a fearless designer to pen a large over-the-top luxury barge that carries some updated interpretation of the design language from the Imperials of the late 60s early 70s. Yes…there must be a ragtop. 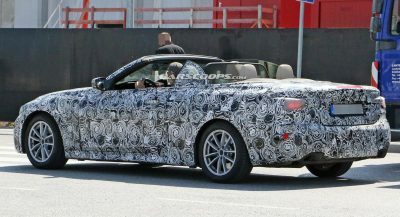 It has to have proportions & “road feel” from that era as well. It’s worth a try to have that segment all alone. Young affluents would eat it up because it hasn’t been seen in a coupla three generations. DO IT. 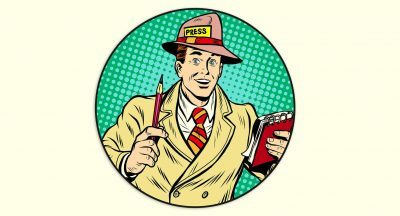 Without a doubt – YOU are the smartest person here! [Well…. second smartest! lol] Not everyone wants an SUV or a Camry. Imperials would do wonders for the Chrysler brand. And YES make it an American Luxury car. Something that floats down the highway in supreme comfort. There has to be some FCA people would love to create something like this. Why would they do that when both Alfa Romeo And Maserati are not only more prestigious but they are world brands. Chrysler is on life support and after the current models, there will be no more. They simply don’t have the money to go around all of their brands and Chrysler has been a 2 car line up for a long time. It’s done. I would never consider buying an Alfa or a Maserati if I was looking for an American Luxury car. [Cadillac or Lincoln] You might be right that it’s ‘done’ but FCA would be fools to allow it to die. This actually sound like FCA gives their cow to someone else, how will they get money is beyond me.